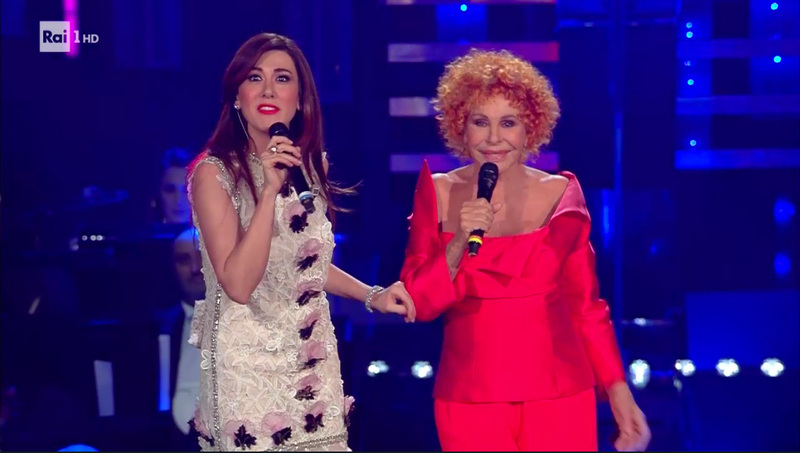 Third evening of the Festival of Sanremo 2019, characterized by young people, representing the true revelation of the Festival with Irama and Mahmood, both offer two very strong social songs, Irama talks about violence against women and Mahmood of how everything revolves around money in This World, with very radio and international musicalities, I would very well see one of the two at the Eurovision, to give a young breath to Italian music too. Among the guests of the evening Antonello Venditti, Alessandra Amoroso and the unpublished duo of Umberto Tozzi and Raf who received long applause from the Ariston audience.Sympathy is the curtain of Virginia Raffaele with the great Ornella Vanoni, who kept on specifying live, which intervened in Sanremo for free, without any financial compensation! Towards the end of the evening Fabio Rovazzi moved to remember his father. Antonello Venditti, Alessandra Amoroso, Raf, Umberto Tozzi and Ornella Vanoni were the guest singers of the third evening of the 69th Sanremo Festival. Along with them there were also Fabio Rovazzi, Serena Rossi and Paolo Cevoli. for the first time the conductors of Prima Festival, Simone Montedoro and Anna Ferzetti. On the stage of the Ariston also the return of Rocco Papaleo.